With the release of Windows 8.1 , Microsoft has officially denied the availability of windows 8.1 as ISO files to the public . Currently windows 8.1 ISO images are only available to Technet , Dreamspark and MSDN subscribers . So your only option to upgrade to windows 8.1 will be by using the windows app store . If you are having multiple PC’s at your home or your workplace . then it will be a PITA to update all those PC’s by downloading a 3.5 GB update on each PC . Depending on your internet download speeds , it might even take a very long time to update all those PC’s to windows 8.1 . Instead you can follow the instructions below and download a windows 8.1 ISO file . Thanks to Microsoft’s stupidity , Actually anybody can download the Microsoft windows 8.1 ISO files from Microsoft , but all you need to have is a retail windows 8 product key . If you use your genuine windows 8 product key then you can use a workaround to download windows 8.1 ISO files from Microsoft itself .ISO image as soon as possible . Note : This method is a workaround to download windows 8.1 ISO files , but you will not be able to select from a 32 bit or 64 bit windows 8.1 ISO image . Depending on the version of the OS you are using , you will get the respective 32 bit or 64 bit windows 8.1 ISO images . Step 2: Scroll down and click on “ install windows 8 “ and a setup file will bedownloaded . Step 3: Run the downloaded file and enter your windows 8 product key . Next the installer will show you the version of windows which will be download . Click next to download it . Step 4: When the download starts , cancel the download immediately by closing the installer window . 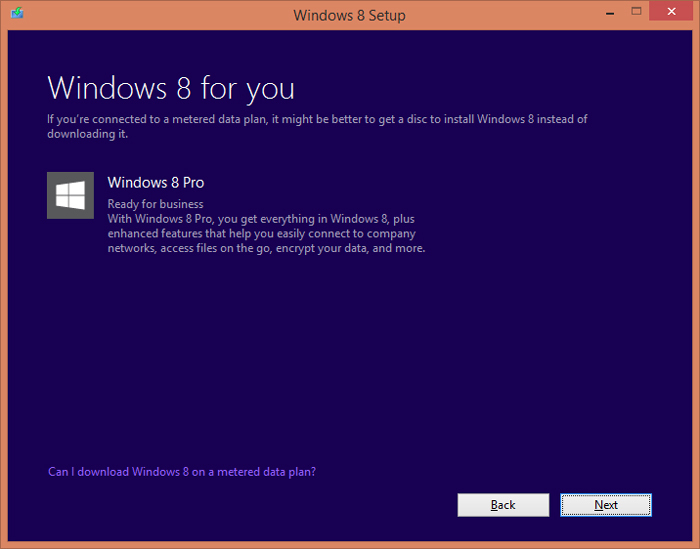 Step 5: Visit this page again : http://windows.microsoft.com/en-us/windows-8/upgrade-product-key-only and this time click on “ install windows 8.1 “ todownload the windows 8.1 installer assistant . Step 6: Run the downloaded setup and it will display “ Download is interrupted “ . Close the installer and run it again . Now it will start downloading windows 8.1 . 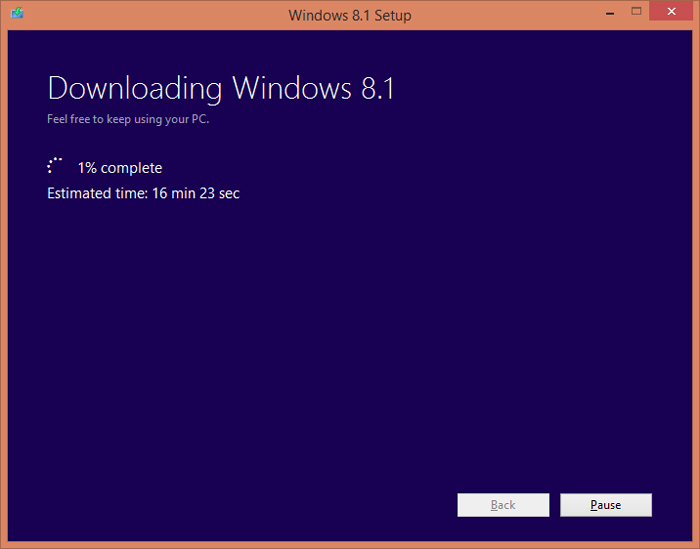 Step 7: When the download is complete , the installer will provide you with three options to install windows 8.1 . Select ” Install by creating media ” from the options and click on next . 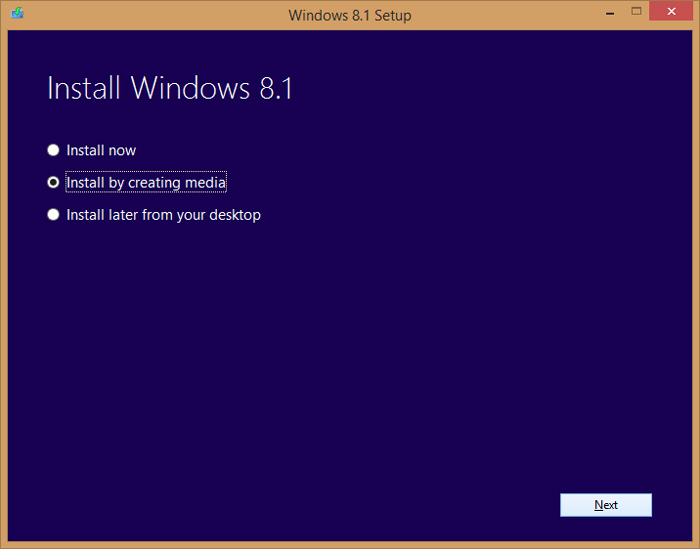 Step 8: On the next window select to save windows 8.1 as a ISO file and you will have a windows 8.1 ISO image . 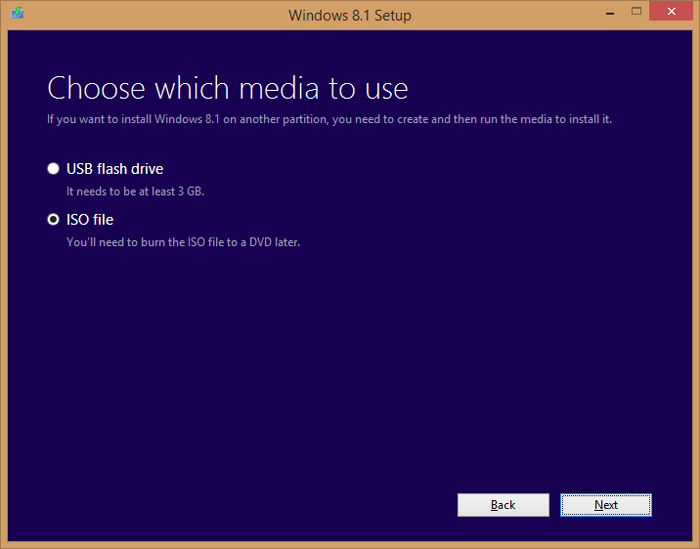 Burn the windows 8.1 ISO image to a DVD or save it on your PC for later use . You have actually fooled Microsoft . Well this seems justifiable since Microsoft should provide windows 8.1 ISO for everyone . Imagine somebody losing or damaging their windows 8.1 disks , how are they supposed to get a new windows 8,1 DVD instantly ?